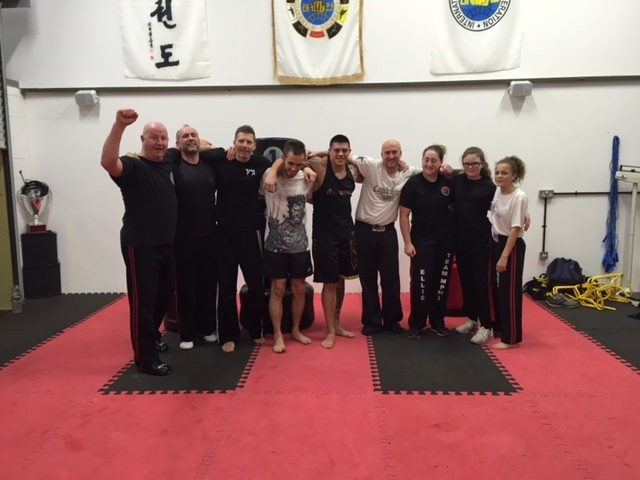 We have various Taekwon-do, Kickboxing, Boxing and fitness classes covering different days of the week to suit all abilities. If you do not find what you are looking for then please get in touch as we are always open to discussion. Wherever we can we will try and be flexible to help you achieve your fitness goals. Below is our full week timetable of classes currently available.  Classes range from one hour to two hours in duration. Note: Try to turn up about 10 or 15 minutes earlier to give yourself time to get changed if needed and to prepare yourself for your training session both physically and mentally. Also make sure you have a non-alcoholic drink with you to keep hydrated. Members only – an addition to your existing training. Contact us to book your space NOW! Open to all, regular classes to enhance your Taekwon-Do training. Never had a go before and fancy a try? Come and see us! Booking Essential, Contact us to reserve your space NOW! Please get in touch to register your space. High Octane kickboxing, previous experience necessary, super fun training and techniques – ages 13+ (physically advanced). If this sounds like it’s too much then try our Thursday night kickboxing class. This class is designed to develop confidence, self esteem and self respect using the skills of kick boxing which include bag work, pad work, skipping, skills and drills and also working in teams. It is taught by our internationally recognised kick boxing instructor. This is a great form of self defence for your child. All levels, super fun training and techniques. This is a slightly more advanced class to the Tuesday where both adults and children train together and are pushed a little bit harder on the skills and drills involved in Boxing. They will work more in teams and with partners to develop boxing skills with very light contact. This in turn with the guidance of our highly experienced coaches will help anyone on their boxing journey with confidence. Please get in touch to register your interest. In this class we cover a range of skills and drills including: bag work, mitt work, skipping, partner work, speed drills, circuits, co-ordination and more. All of these skills will contribute towards improving your fitness, self defence and personal safety. Taught by our highly experienced coaches, they will work with you with to ensure you are pushed to the best of your ability and to gain everything you can out of each session. The end of another great training session! How about some one-2-one personal training sessions or even a small bespoke fitness training session for a small group of you and your friends? If this is something you are looking for then please get in touch and we can talk through your requirements. Outside of the times detailed above we are mostly available between 12 midday through to 10.00 pm from Monday through to Friday. Please get in touch to find out what we have available and what we are able to do for you!